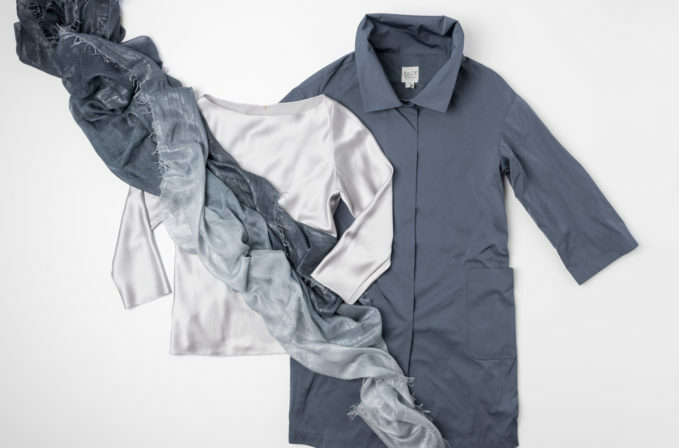 The Pauw slate blue jacket is minimal and architectural against the Peter Cohen silver silk blouse, which has fluid drape and a satin finish. The Pauw matte finish layers over the satin top and allows for the silk and shimmer to shine. Either piece with a scarf, by such lines as Faliero Sarti, becomes elegant occasion wear.